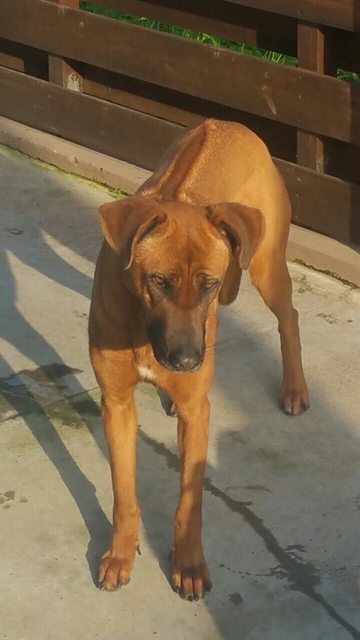 Bama is a 2 year old female Rhodesian Ridgeback Cross. Bama is currently living in Cyprus. 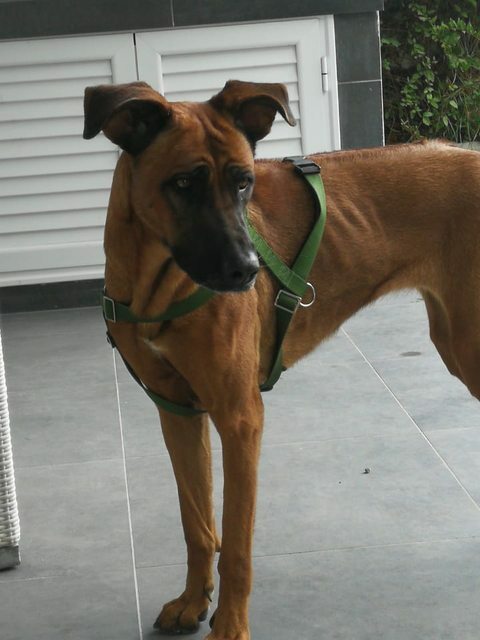 Her family can no longer keep her and through no fault of her own she needs to find a new home. We are determined to find her a fabulous, forever home in the UK where she will be safe and loved. Bama is a gorgeous, friendly dog. She enjoy being with her humans and gets on well with children. She is great with other dogs and walks well on the lead. In fact it is the children in her current home in Cyprus who walk her. She currently shares her home with another dog and gets on very well with her. 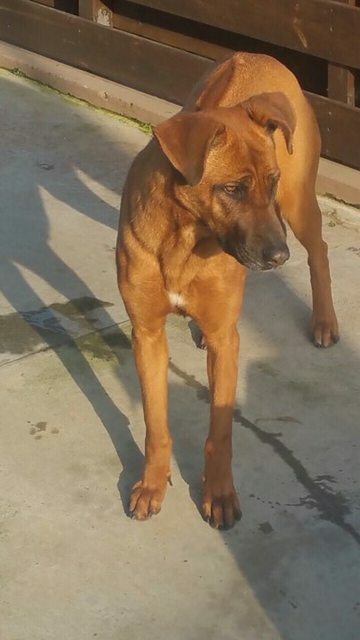 However, her sister has now found her forever home in the UK and unfortunately it looks like Bama will be left behind. We hope to find a family who will open their heart and home to her and allow her to continue to live in the comfort to which she is accustomed. We really do not want her to have to move to the pound. She will make a terrific family pet as she gets on well with humans of all ages. She would be happy as an only dog providing her human was there for her. We have no doubt that she will make their new family very happy! 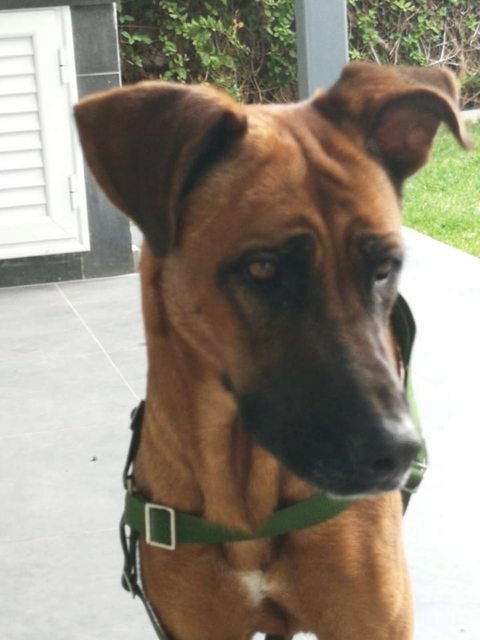 Prior to her flight to the UK she will receive the vet preparation required, vaccinations, be microchipped, neutered (spayed) and have her entry passport prepared. The adoption donation required to help cover the flight and related costs to get her to you in the UK will be around £500. If you are interested in this gorgeous girl who is an absolute sweetheart then please contact us. We will be very happy to chat to you about our adoption process. It is much easier than you might think! ADOPTION IS SUBJECT TO A HOME CHECK. Full post adoption support is offered by our charity.